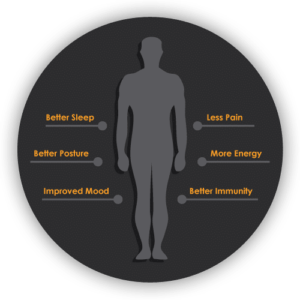 Chiropractic care is a foundational part of great wellness and knowing where to find the right chiropractor in Johnson County KS is the way to build that great foundation . Many people take for granted the need to take good care of their spine, then are surprised when pain and mobility issues arise. Spinal degeneration is occurring earlier and earlier because of the over use of desks and devices. Now with children using devices for longer periods of time starting at even earlier ages, degeneration is happening at younger ages. The last published study about the decreasing age of spinal degeneration was in 2004 which reported that 10% of 10 year olds showed spinal degeneration because of exchanging exercise for computers. We can only imagine that that number would be now, almost 15 years later. We do know that 40% of 20 year olds show spinal degeneration that historically was only seen in the elderly. 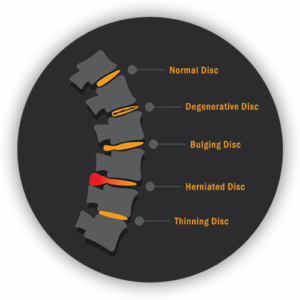 Because most people are in degenerative postures all day long, the need for proactive spinal care is greater than ever before. This preventative spinal care is called spinal hygiene. With 31 million Americans reporting low back pain and the devastating effects of opioid medications used for pain, it is high time we take care of our spines. The concept of spinal hygiene brings awareness and practical solutions to caring for the spine rather than waiting until pain sets in. Each of us need to be proactive, not reactive when it comes to our spine health. Think of it like your dental hygiene. You brush your teeth daily, floss regularly and see the dentist about twice a year. You do not wait until you get a cavity to begin brushing your teeth daily. In the same way, do not wait until you are in pain to care for your spine. Routine spinal hygiene can prevent pain and improve your health from head to toe. Taking breaks from technology to move, stretch and reposition the shoulders, neck and back. For children, the best way to maintain these postures is to limit time with technology and engage in active play. When children are creating, exploring, and moving, they do not suffer as much from the early onset of spinal degeneration. An aligned spine not only supports every organ and function in the body, but also prevents a wide variety of musculoskeletal pain. Because nerve signaling from spine goes to every part of the body, chiropractic care supports the every organ, joint, muscle, and tissue in the body. Don’t wait until these issues begin to start supporting your spine. Start now to prevent future illnesses from occuring. We are ready to be your chiropractor in Johnson County KS that goes above and beyond just helping your pain when it happens. At LifeWorks Integrative Health we take wellness, prevention, and supporting the body before illness occurs just as seriously as we take your acute and chronic pain that is already occurring. This is why our entire chiropractic philosophy is centered around corrective care. Many chiropractors focus on specific segments of the spine in order to relieve your pain- we call this pain care. Although we do relieve pain, we also approach your body from a fundamentally different place, which is function. By evaluating your entire Central Nervous System we are able to determine not only incorrect curvatures of your spine, but also how well it is functioning. This is corrective care. We find, address, and correct the underlying cause (improper function) of misalignments in your spine. Corrective care chiropractors are root cause chiropractors. They aim to correct the underlying cause of your pain, immobility, and give you the tools to prevent this in the future. We start with a comprehensive evaluation of your spine curvature and spine function. Our corrective care plans give you a clear path forward that includes re-evaluations and re-testing to measure your progress. Our way of corrective care will address current issues you are having with the musculoskeletal system and build a strong, healthy spine for the future. This prevents illness, prevents injury, improves the immune system, and helps every organ in your body to do its best work for you. Don’t wait until you are in pain to get the comprehensive spine analysis our team is trained to provide. By knowing the correct ways in which your spine needs support, you can begin your spinal hygiene today and prevent more illness and pain in the future. We are your chiropractor in Johnson County KS here to get you the health you need for the life you want, and it all starts with a healthy spine.